The Commodore 64 took CES 1982 by storm, promising a system that was considerably more powerful than anything offered by the competition while costing only $595, a price that reportedly bewildered Atari employees at Commodore's show booth and was enabled by vertical integration (Commodore had recently bought MOS Technology's semiconductor fabs and each C64 only cost about $135 to make). Before the end of 1982, Commodore sold some 360,000 units and that figure nearly quadrupled to 1.3 million in 1983 -- roughly the same number of machines sold by IBM and Apple combined. 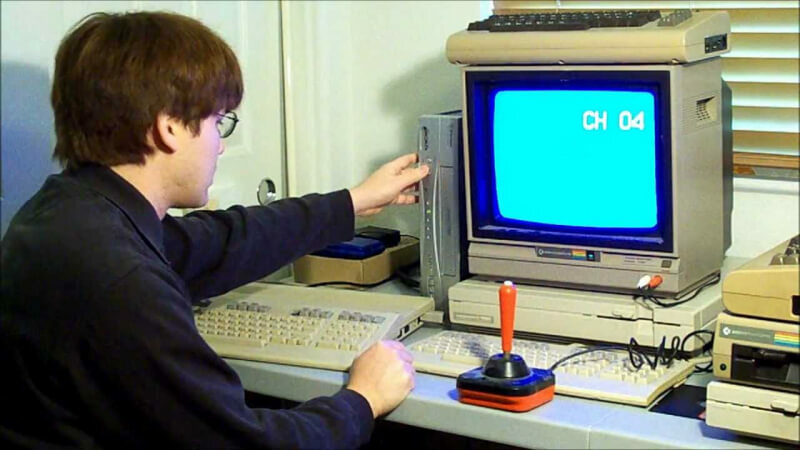 Sales remained well above a million C64s each year for a decade and depending on who you ask, as many as 30 million systems may have been pushed out of Commodore plants (says Commodore Jack Tramiel), though other estimates suggest the number is more like 12.5 million.